Part-Human, Part-Machine Transistor Devised « Adafruit Industries – Makers, hackers, artists, designers and engineers! Man and machine can now be linked more intimately than ever, according to a new article in the journal ACS Nano Letters. 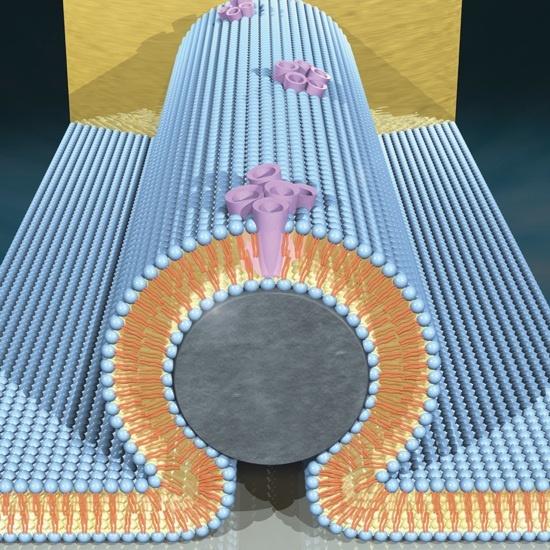 Scientists have embedded a nano-sized transistor inside a cell-like membrane and powered it using the cell’s own fuel.